at Residence Inn by Marriott (Muskoka Wharf), Gravenhurst. Consideration of any motion(s) introduced by the Voting Members in accordance with the By-Laws. 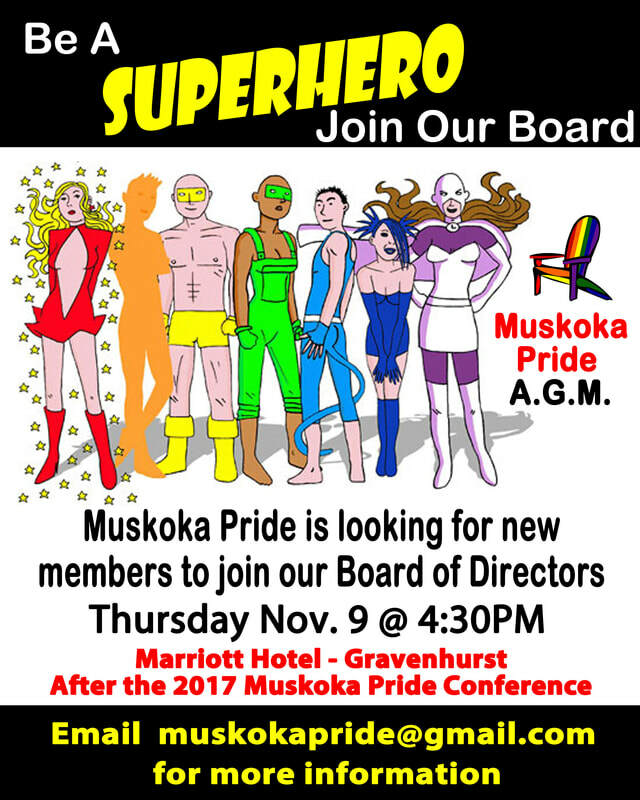 This meeting will be held after the 2017 Muskoka Pride Conference. You are invited to join us for the Conference - Register Here. 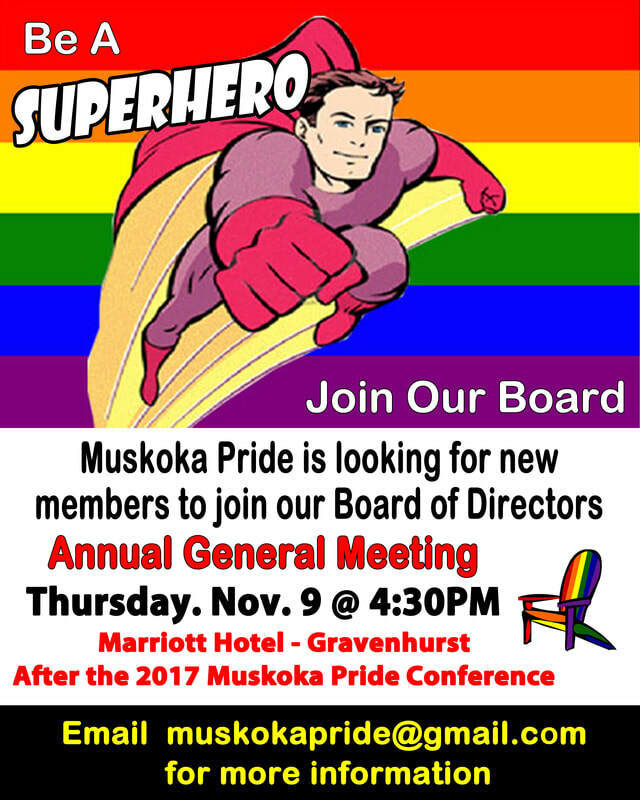 Muskoka Pride has several openings on our Board of Directors. We are looking for dedicated individuals interested in becoming more involved in the running of our organization. Do you have skills that could help Muskoka Pride? Time commitment is approximately 4-6 hours a month (higher during the Muskoka Pride Festival in July).